I looked for a pre-existing Lotus fan thread, but could not find one. 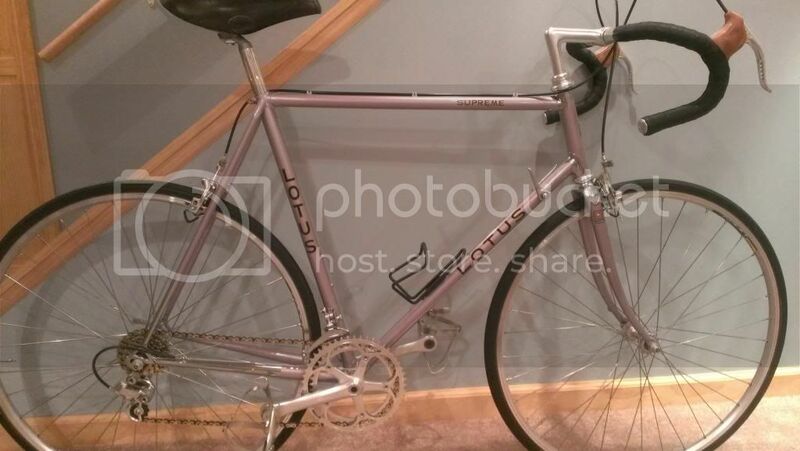 I've got three Lotus bikes to recondition, including two mixtes and am looking for inspiration. So show the aficionados your Lotus. I'm stalking a Classique. It's a gem, but now that I've shown interest, he thinks it's the Hope Diamond. I've had a couple of 1984 Classiques. 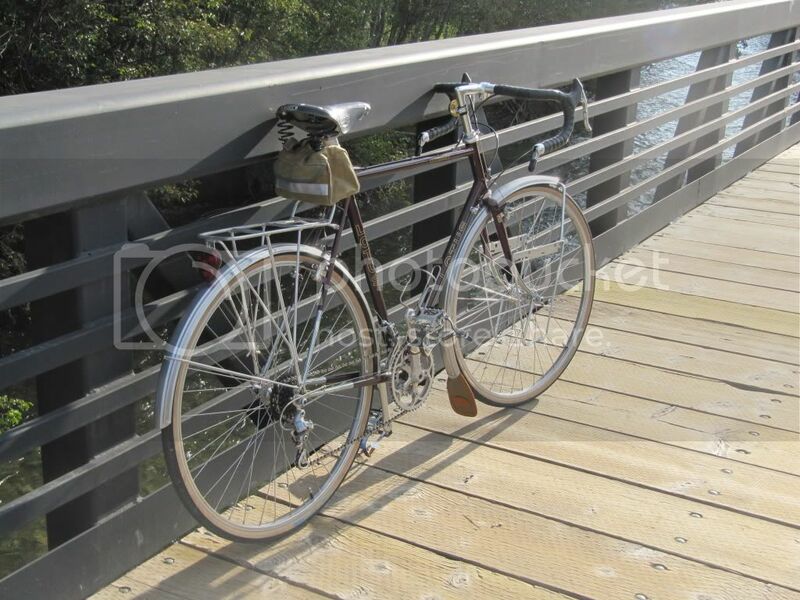 They were beautiful bikes, with a lot of tasteful use of chrome. If either fit, I would still have them. Good luck on the negotiations! Here are the projects I've got. Challenger - as found, Albany NY. 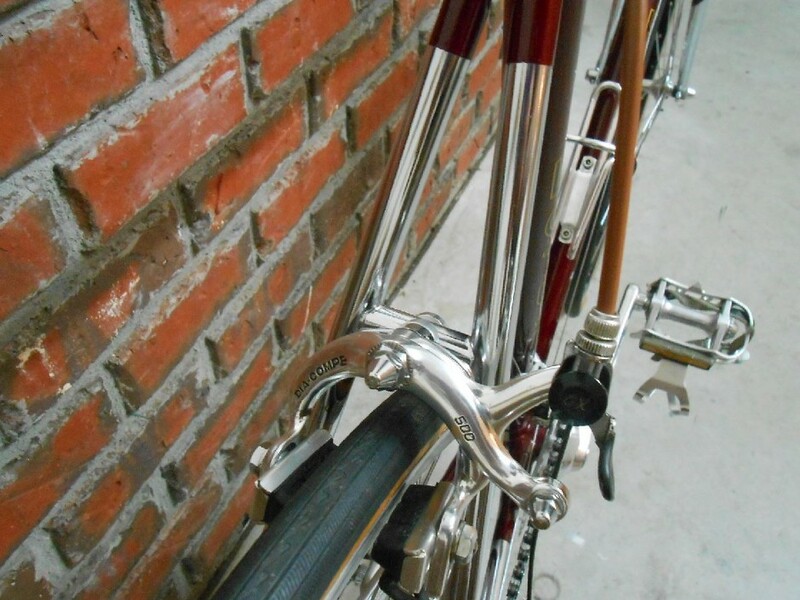 Some patina by top tube cable guides, chain stay, down tube. Last edited by oddjob2; 10-07-13 at 07:17 AM. 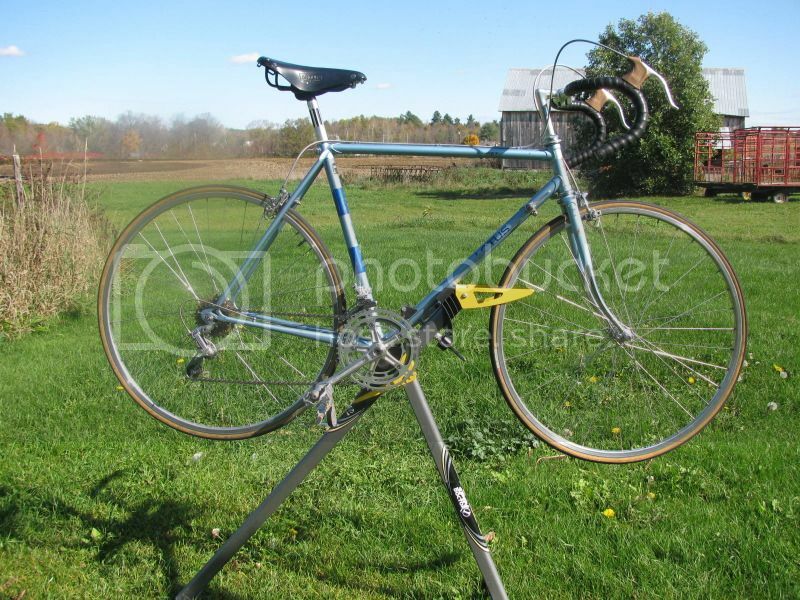 It's not very original and it's set up with a 10 speed rear freewheel. Super record Derailleurs, SunTour Symmetric shifters, Gipiemme Parade Wheel set, Tektro R750 Carbon fiber Duel pivot brakes, Turbo Saddle, Sugino Seat post, Sugino Super Mighty Crankset, Dura Ace 7400 pedals, Shimano 600 AX headset. 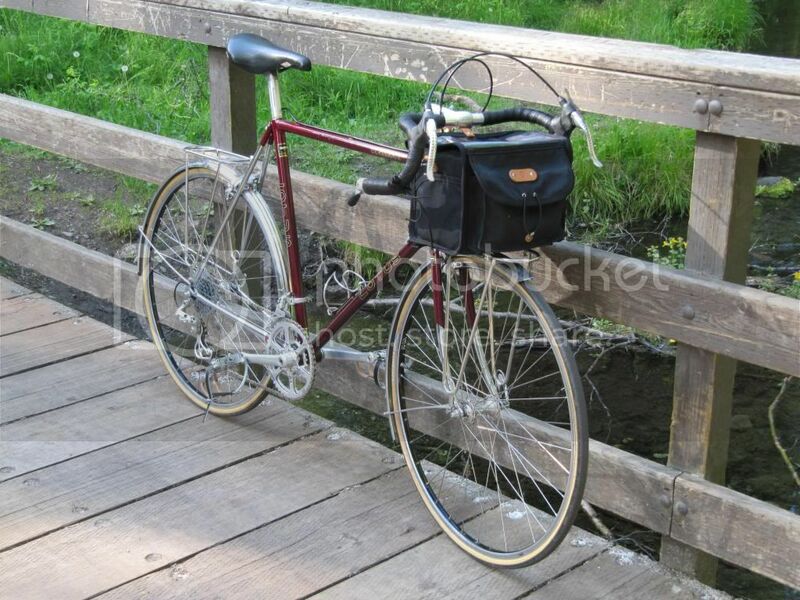 There is a nice Classique posted in the ebay thread, I think it is in Boston. Are all Lotus bikes made in Japan? Are all Lotus bikes made in Japan? The majority of the popular Lotus models were made in Japan by Tsunoda (early 1980s), Yamaguchi, Maruishi (later 1980s) and possibly others. 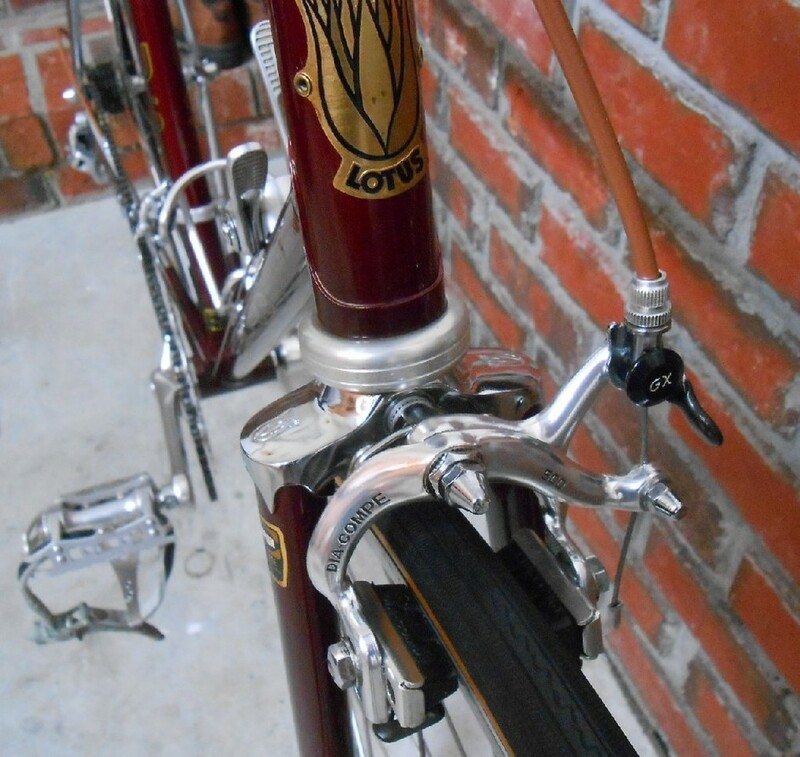 Lotus contracted with Pacific Cycles (not to be confused with Pacific Cycle) in Taiwan starting about 1982 to build most (but not all) of their entry-level bicycles. 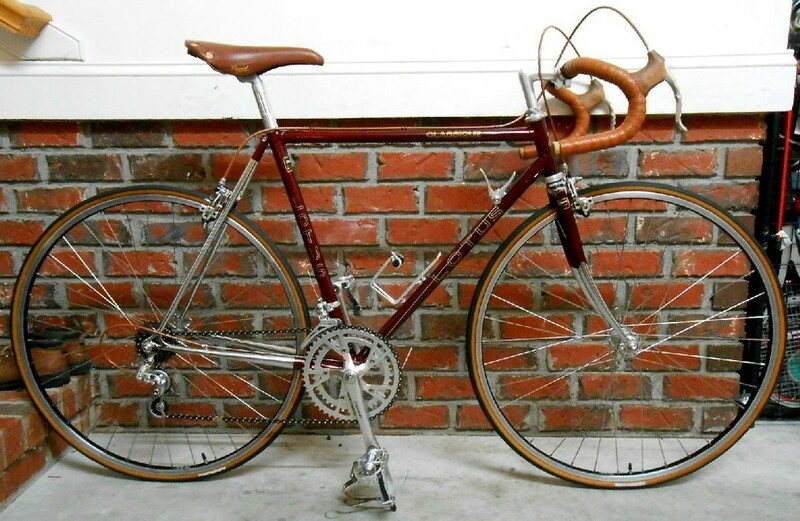 Those Taiwanese models included the Elite, Elan, Prestige, Sprint, some versions of the Special and America, a few MTB-style bikes and some unusual models like the Lady D and Susie Q women's bikes. Early versions of the Taiwanese bikes were marketed under the "Tyro Series" for 1983 (Tyro means beginner or novice), but that terminology was only used for one year. To be fair, Lotus did advertise these bikes as being inexpensive. Generally, the quality of the Taiwanese bikes isn't that of the Japanese models, some Taiwanese bikes are better built than others and quite variable even within the same model/year. In my opinion, there are too many great entry-level Japanese Lotus bikes (Tsunoda America, Grand Prix, Challenger, Excelle, etc) to bother with the Taiwanese models unless they are either inexpensive or in mint condition. Last edited by Snydermann; 10-08-13 at 11:51 AM. Green (Oxide Green) with chrome and Columbus tubing narrows it down to 1983-84. If the fork crown is engraved with the Lotus logo it's an '84, smooth crown is '83. Chrome crown and it's from a Lotus Competition, chrome blades and it's from a Lotus Legend or Legend Compe. Here is the early Excelle that I sold in the spring. will be fun to seek one right frame, i know. Don't worry, you'll find one soon. 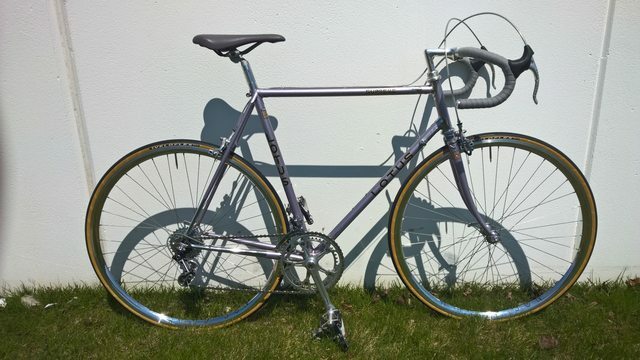 You see, in 1984 Lotus was proud to introduce a set of affordable Campagnolo equipped bikes made in Japan with Columbus tubing. Today it's common for troglodytes to take these beautiful, classic, and rare Lotus bikes and strip them for their valuable Campagnolo components. I've seen it happen dozens of times. So you'll be able to find a frame eventually, and a rare and special Lotus will be lost forever. Ignorance and greed fuels the bicycle hobby. This '84-'85 Challenger was on a fast track to the scrap pile but I managed to save it. I have thoroughly worked it over and it will be put into regular service soon. It is more enjoyable to ride than my late model road bike. I was wondering if I was going to have to turn in my man card for riding a pale lavender pearl bike but it is such a nice ride I don't care. In fact I have grown to like this color quite a bit. 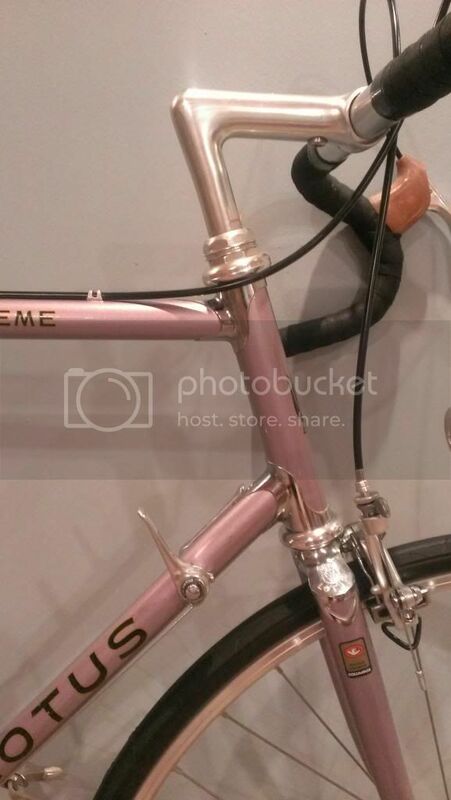 It is original save the saddle, handlebar tape, cables and housings as well as the pedals. 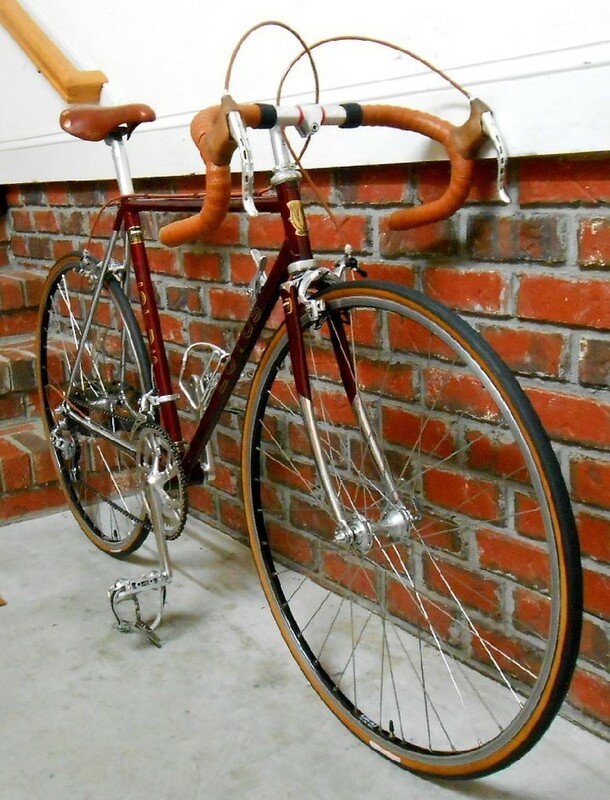 The original saddle and pedals have been saved. Last edited by gstep51; 12-11-14 at 09:21 AM. Classiques are the best. Here's mine--a circa 1984 I acquired as a frame from Thrifty Bill. It has a Sugino Apex wide-range double in 86 BCD with 48-32 rings. The wheels actually came off another Lotus Classique that passed briefly through my hands years ago. I love the way it rides. On a rainy ride last spring I ran into a bunch of Lotus car enthusiasts out on a road rally of some kind. We all posed for pictures together. 1984 Lotus Classique. Modified and Upgraded. Friction shifting with Suntour Cyclone is a must! Sugino Triple! Velocity Razor Rims. Tektro Brakes. Last edited by OldRoadman; 04-09-15 at 09:51 PM. This is my first ever road bike and first attempt at any real kind of mechanical work. I'm a total klutz so please don't laugh too hard. Completed my '84 Supreme. 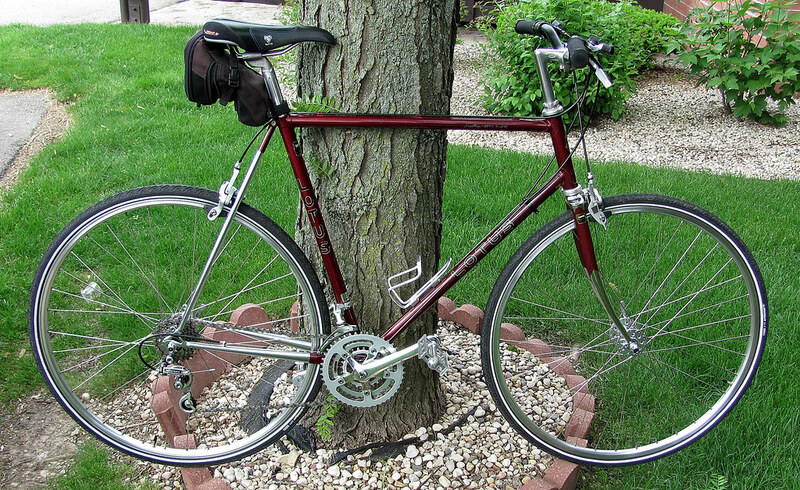 Frame was sold to me by @acoffin then cleaned and polished by the awesome Mr. Zeni of Zeni Cycles in Gurnee, IL. Super Record, with SR Royal Stem and World Champion bars. Record hubs, H+Son Archetype polished rims. Saddle by JustOne.